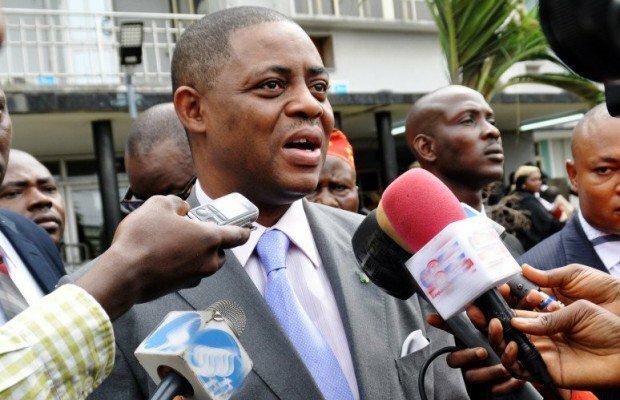 A former Minister of Aviation, Chief Femi Fani-Kayode, has claimed that the $50million found in a Lagos apartment by operatives of the Economic and Financial Crimes Commission (EFCC), belongs to the Minister of Transport, Rotimi Amaechi. Fani-Kayode, who wrote this on his Twitter page, also dismissed reports that the money belonged to the National Intelligence Agency (NIA). He insisted that Amaechi owned the flat where the money was found. The $43 million is Rotimi Amaechi’s.He owns the flat it was found in too.NIA story is fake news! NIA does not keep cash in Minister’s flats! Fani-Kayode tweeted. Just hearing with one ear that Amaechi may have link to the House,” Olayinka wrote on Twitter. Cover up game has started! Rotimi Amaechi owns the house. Former chairman of the Peoples Democratic Party (PDP), Adamu Mu’azu, has admitted that building where EFCC operatives found the money, was actually built by him. Mu’azu had initially disowned the Lagos apartments, where the monies were discovered. However, in a statement released on Thursday, the former Bauchi Governor insisted that he sold the apartments through established agents and does not know who the occupants are.